Leads Leap offers a free lead generating system along with some free tools. They also offer a Premium membership where you can be more active and create more income. Lets take a look at my personal Leads Leap Review. You view other business ads and collect credits. Depending on how many credits you get your FREE ad will be shown on their site. You also are encouraged to share your affiliate link to the site in order to create a downline. This is not an MLM even though you are creating a downline. You do not have to buy anything to create some income. If you use their free tools you can participate in reven ue sharing with the company and your ad will be shown in other areas on the web to help you create revenue and build leads. Traffic is an important part of every online business. PopupXpert – It will help you to create all kinds of animated and sidebar widgets, including exit popups, slide up bar, slides at the corner, animated end-of-post opt-in form, and many more. 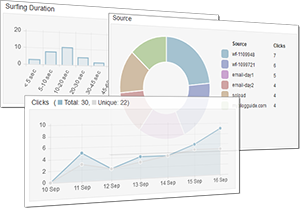 Moreover, you can track your campaigns data and analyze it. Cookie Generator – Cookie is a file that keeps tracks of visitors to a site. Through these cookie large sites track your links and awards you commission like Amazon and ClickBank. This generator helps you to create web cookie on your visitors’ browsers. This tool just creates it, and it has to be used other tools like PopupXpert. 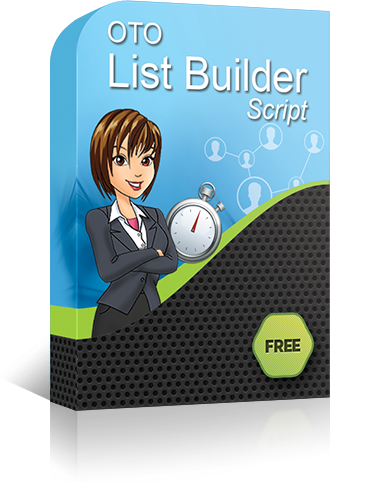 OTO List Builder Script – This free script helps you to move your business to the next level by optimizing list management, autoresponders, mass mailer and email ads management. It is just a script similar to WordPress Script that gives you a powerful blogging platform. 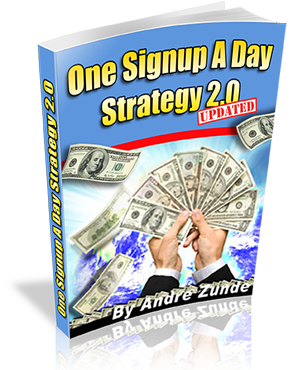 Every internet marketer needs a script that enables them to manage a list, present a one-time offer, process payments and provide an affiliate program. How the leads building system works? This system comes with a 10-level downline. This will increase your reach to not only your direct referrals but also to nine other levels of referrals they and their leads bring in. A view of back office statistics. The only tracker that shows you the true color of your visitors. Create stunning animated offer or optin popup with tracking and customization abilities. Start running an online business like the gurus! LeadsLeap 2.0 is a revenue-sharing advertising and leads building system. There are 3 parts to it: revenue sharing, advertising, and leads building. 1) Make money by sharing our revenue (you don’t have to buy or sell anything, or refer anyone). 2) Advertise free and get traffic to your websites. 3) Build 10 levels of free leads that you can reach out to unobtrusively. Note: Our revenue sharing is free, i.e. there is no need to buy ad pack. We do have an upgrade plan, but that is for people who want to get more traffic by having their ads being rotated in the system 24/7 without the need of any credit. This scheme makes sure that everyone makes money in LeadsLeap. All you have to do is visit at least 10 ads in the network in a day. The sharing percentage is 5% for Free Members and 10% for Pro Members. This means a Pro Member will earn double of what he will earn if he is a Free Member. In addition to that, if you have no intention to use the credits for advertising, you can convert your credits into cash. Unused credits will expire after 6 months. Unlike other paid-to-click or paid-to-surf systems, you are not forced to view ads for 10, 20 or 30 seconds. You earn based on the duration you surf. If an ad is boring, get the initial credits and close it. If it is interesting, continue surfing and keep earning every 5 seconds. Too lazy to login everyday to view ads? No problem. We will send the ads to your email everyday. Just ONE email a day, not more, not less, and you decide what time you want it to be sent. The second revenue share is to reward members who send traffic to the ads in the network. You can think of it like Google Adsense, except you don’t need a website to start earning. The sharing percentage is 15% for Free Members and 30% for Pro Members. This means a Pro Member will earn double of what he will earn if he is a Free Member. – add LeadsLeap Widget to your blog or website. – use The Real Tracker with the ad widget activated. – send traffic to our blog via your affiliate link. This is to reward members who refer members to the network. When your referrals upgrade their accounts, you’ll earn recurring commissions, 25% if you are a Free Member, 50% if you are a Pro Member. For more details about our three revenue sharing schemes, you can go to My Earnings and click ‘ How it works’ under each of the earning methods. You can post contextual ads under 2 advertising programs, Free Ads and Pro Ads. Free Ads are free but fueled by credits. Pro Ads are exclusive to Pro Members. They are shown in the network without the need of credits. We use several strategies to send traffic to your ads. 1) We pay members to surf your ads. 2) We send the ads to our members’ emails to make it easier for them to view your ads. 3) We pay members who send third party traffic to your ads, via LeadsLeap Widget, The Real Tracker and traffic to our blog. 4) Other than monetary rewards, we also reward members who add LeadsLeap Widget on their websites with more exposure for their Free Ads. Through these different strategies, we can help you to get traffic from different sources, within and beyond the LeadsLeap network. How our leads building system works? LeadsLeap comes with a 10-level downline building system. This means you not only can reach out to your direct referrers, but also the other 9-levels of people they and their leads bring in. Imagine you have only referred a few people to join LeadsLeap, but you are able to reach out to hundreds or even thousands of new leads. Sounds good? Not really. Success in leads building doesn’t come easy. 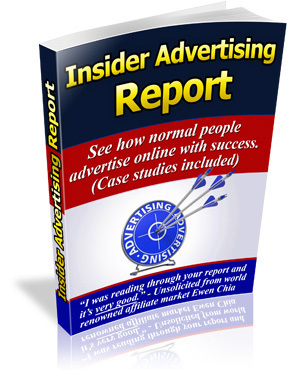 – online marketers looking for better tools to grow their businesses. There are many ways you can promote LeadsLeap, directly and indirectly, actively and passively. You can learn about the different ways to bring in referrals here. The biggest challenge in any downline building system is communication. You can have a huge downline but without a good communication system, you can’t reach out to them. Our unique, first-of-its-kind Downline Message system allows uplines to reach out to their downlines effectively and unobtrusively. The truth is, leads building system alone is an unsustainable model. It’s like a pyramid scheme. If people join simply because they want to build leads, they will leave the system when they can’t get any lead. The system will eventually collapse like a house of cards. LeadsLeap is more than just leads building. Members can post ads to get traffic, make money through three revenue sharing schemes and use our top-notch tools to grow their own businesses. As an upline, you will be glad that your downlines are busy minding their own businesses using LeadsLeap services, with or without you, with or without any downline. This is how you can keep your downlines and reach out to them when you have something good for them. What other benefits can I get from LeadsLeap? One of the things that other members touted about LeadsLeap is the marketing tools that we’re giving free to our members. Whenever we create a new tool, we make sure that the tool has a unique feature that solves a pressing problem in the industry. For example, our tracker allows members to find out whether the trafic they get are genuine visitors. 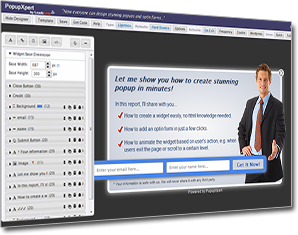 Our popup generator allows members to design stunning animated contents and do all kinds of customizations, taking their marketing efforts to a whole new level. Why do we give these tools free? 1) It’s what I love. I love creating new solutions to solve problems. What’s even more fulfilling is seeing our members benefiting from them. 2) We are following Google’s footstep. Google started as a search engine but it keeps on providing new and innovative services like Gmail, Google Map etc for the world to use free. Why? Because they know these are free branding and publicity for them. As our members use our free tools, they are also promoting LeadsLeap indirectly. This will in turn build them more leads, make them more money and keep LeadsLeap growing. 3) We want our members to have more reasons to stay in the system. Member retention is important to us. I believe that if we can provide true values to our members, they will stay in the system forever. Personally I feel that that Leads Leap is worth a try. In order to write a comprehensive review I signed up for Free. I found the site easy to navigate and support very quick in responding. (I asked a few questions to see) What attracted me was the ability to earn without paying. Free is for me. They claim they will not inundate you with spam and so far I have not seen any email besides the welcome mail. As I will do with any review I make I will post an update with my progress. Look in my sidebar for the sponsored ads, that is the Leads Leap widget. I hope you enjoyed my Leads leap Review. Thanks for the info on Lead Leaps. I have heard about it before, but never knew what it was. Is there a trick to it or someway to maximize the program? It looks like you need to surf to make money on it or promote your link. Is that correct? Thank you in advance for the answers. On the free level you need to surf the ads for credits to get your ad shown and use the widget on your website to get revenue sharing. It sounds good I will write an update after some experience with it! I don’t think there is any trick, but upgrading will increase profitability. Wow! Great stuff! I found Leads Leap interesting. Free tools to use to build a website. Not many give access to free tools and share the profits. great content, thanks for sharing. The site looks great. Solid and clean. I think making it more obvious where the new products begin would help as well. The lines are great but hard to see the separation of different products. thanks for the comment I’ll take it as good advice. Yes I liked what saw and figured a free ride was worth it. Like I said in will post an update after I have been there awhile.